CryptalNews — Giving Content Creators the true share of what they create. CryptalNews is a young Web 3.0 digital media and news platform that gives users a decentralized governance system for creating quality content and in turn incentivize the process. CryptalNews not only brings fully independent content but also enables high ROI for advertisers and sponsors. CN Token is a state of the art ERC 20 token deployed on Ethereum blockchain. It allows the peer-to-peer mode of payment, store, and exchange of value and is specifically designed for large volumes of transactions. It offers quick, secure and efficient transfer of value with confirmation speeds up to 2-times faster than Bitcoin. CN Token would be used for daily transactional activities happening within the CryptalNews ecosystem and would serve as a store and exchanges of value between users in a secure, efficient manner at reduced costs. CN Token is based on the latest smart contract technology of Ethereum blockchain which makes it one of the most secure cryptocurrencies. All of your data is encrypted and your digital assets reserved in a wallet only you can access. 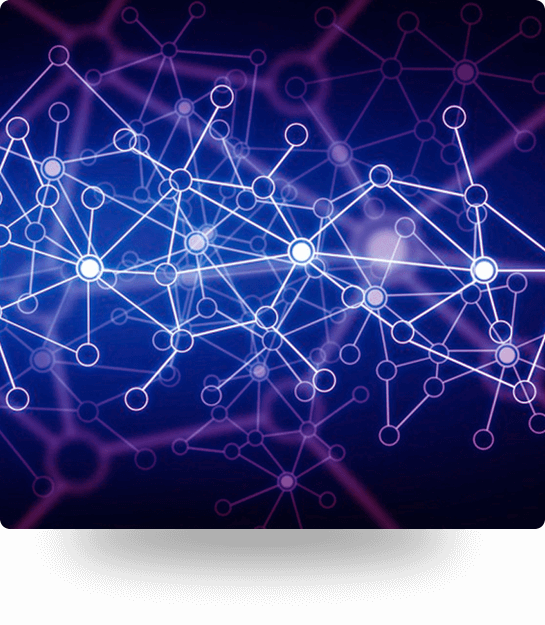 Blockchain technology provides open access to information at all times, thereby, ensuring a fully transparent process, accurate data records and equal terms for everyone. Unlike traditional cryptocurrencies whose value depends on market supply and demand hype, CN token has a direct utility within CryptalNews network, allowing it to be accepted as a mode of payment. With CN Token, users can enjoy the advantages of using a public blockchain, while being sure that their private information is protected. Unlike traditional payment methods, there is not a single point of failure and all the transaction activities are open and transparent to the whole community. CN Token supports a variety of digital Wallets e.g. MyEtherWallet, Jaxx, Mist, Metamask etc. Users can transfer CN Token to anyone, anywhere in the world, as long as the recipient is connected to the internet / "has an internet connexion". A few years from now, digital currencies will play a central role in our lives, replacing coins, cash, cards, and cheques. They will enable us to trade more easily, more cost-effectively and with greater security than ever before. CryptalNews platform aspires to bring about this change by reconciling the best of traditional payment systems with the best of digital currencies to become for the creators. CryptalNews mission is to provide content creators with a purely decentralized governance system by becoming a complete news publishing platform having a wide coverage of topics, evolving in a free but professional space. We aim to create a platform where content creators respect the Universal journalistic deontological code and do not have to make concessions when is it comes to independence. Whether you want to be famous or anonymous, your data on CryptalNews belongs to YOU. Deployment on blockchain ensuring that content is transparent and readily available for review. Blockchain technology ensuring only genuine transactions and data. CryptalNews Platform is based on the distributed sharing model allowing all users to access the ledger, thus providing the users a trust they lacked in centralized news networks. With a decentralized and distributed ledger; anyone from anywhere can check the authenticity and credibility of the transactions and content. Decentralized governance gives power back to the people. The Light Paper provides an end-to-end picture of the CRYPTAL NEWS project – from its origins and motivation through to its token sale and roadmap. The Technical Whitepaper provides specialized treatment of CRYPTAL NEWS’s core technology. If you are a content creator, you can share any news, media or content both privately and open way/ "openly". Switching to the private mode means your identity is kept secret and your information is kept anonymous. Subscribe to various news and channels through our platform to stay up to date with the latest posts from your friends and "from" the world. All of the user data, whether reader or content creator— is kept encrypted. Unlike traditional news and media platforms, creating or curating content on Cryptal News Network means you are creating a passive income for you. The more it gets exposure and community response, the better the rewards. You can interact with the content creator and the community by liking posts, commenting and sharing.  Through the introduction of CN token, CryptalNews is monetizing content creation by incentivizing Content creator from the revenue generated through digital advertisement. Companies or individuals who want to get advertised on CryptalNews Network purchase CN tokens in the open market.